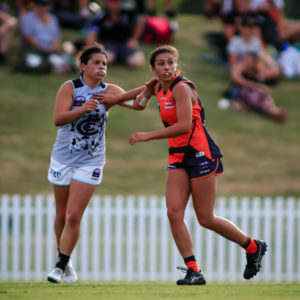 To celebrate Blacktown International Sportspark hosting JLT Community Series and NAB AFL Women’s Competition matches on the weekend of March 2 and 3, the AFL is pleased to announce the JLT Community Series match between the GWS GIANTS and Sydney Swans will see all fans enter for free. 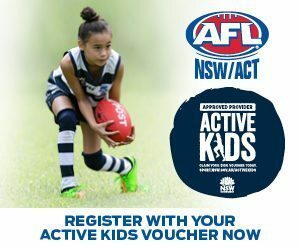 AFL NSW/ACT CEO, Sam Graham said the decision to offer free admission to fans for the JLT Community Series match at Blacktown International Sportspark presented a unique opportunity to see the best of both the men’s and women’s competitions up close on the same weekend. “It’s a brilliant opportunity for our fans to see two elite men’s and women’s matches at the same venue on the same weekend and we really wanted to package it up as a big celebration of AFL in the region. The announcement comes as tickets for all JLT Community Series matches have gone on sale to AFL Members, club members and the general public. For the fifth consecutive season, AFL and Club members with game access will be entitled to attend JLT Community Series matches free of charge (subject to availability and venue capacity). AFL General Manager of Clubs Travis Auld outlined the benefits that the JLT Community Series brings to communities. 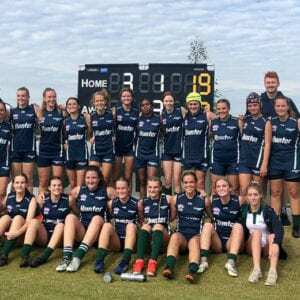 “The 2019 JLT Community Series continues to highlight the fact that the community is the lifeblood of Australian Football,” Mr Auld said. “The JLT Community Series continues to grow year after year and we believe this is a result of the importance we place in bringing elite men’s football to regional and suburban areas. It provides an opportunity for all fans to experience football at the highest level and undeniably continues to inspire future generations. “Across Australia, local Councils and other partners work very hard with the AFL to ensure regional venues can accommodate these types of matches and can also be a year-round asset to those communities to ensure all participant levels of our game can benefit,” he said. In the past decade, the Australian Football Facilities Fund has contributed more than $40 million to over 800 community football related projects benefitting more than 900 clubs. JLT is a global, specialty-focused provider of insurance related advice, brokerage and associated services. Gary Okely, CEO, JLT Public Sector said it was encouraging to see councils and communities being rewarded for their hard work. 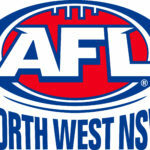 “Demand for tickets will be high in towns such as Port Pirie, which will host its first ever AFL game,” Mr Okely said. “They have done a significant amount of work to get ready for the big game, including redeveloping the town’s sporting facilities. “We’re proud to have been part of their journey by providing insurance and risk advice that helped save the funds needed for the vital infrastructure. “The town’s new sporting facilities will now play host to the Summer Showdown and bring long-term economic benefits to the town,” he said. 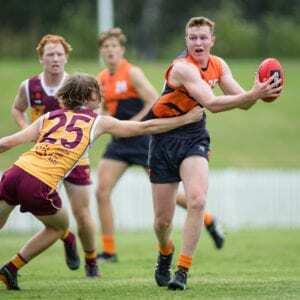 The format of recent seasons has once again been followed by bringing the game to the backyard of communities across Australia. The majority of matches will be played at regional or suburban venues that don’t normally host AFL matches during the regular Toyota AFL Premiership season. All 18 matches in the JLT Community Series will again be exclusively broadcast live by FOX FOOTY on Foxtel. In addition, every match will also be made available live to fans via the AFL Live App thanks to Telstra. Club and AFL Members – tickets went on sale 9am venue local time Monday February 4, 2019. General Public – Tickets went on sale 9am venue local time, Tuesday February 5, 2019. AFL and Club members with game access have free entry to those JLT Community Series matches in which their club is competing (subject to availability, upgrade or registration fees may be applicable). Access to JLT Community Series matches is subject to capacity and is not guaranteed. The AFL recommends that members upgrade their membership to a reserved seat or register for a general admission ticket in order to guarantee entry. JLT Community Series ticket prices are as follows (ticketing fees and levies are included in the prices below, however additional transaction fees and credit card fees may apply). *All prices are subject to additional ticket agent fees. Ticketmaster – www.ticketmaster.com.au or 136 100 – Ikon Park, Leederville Oval, Avalon Airport Oval (Werribee), Moreton Bay Central Sports Complex, HBF Arena (Joondalup), GMHBA Stadium, Casey Fields, UTAS Stadium, Mars Stadium, Rushton Park (Mandurah). 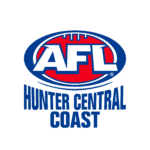 Ticketek – www.ticketek.com.au or 132 849 – The Memorial Oval (Port Pirie), Deakin Reserve (Shepparton), Great Barrier Reef Arena (Mackay), UNSW Canberra Oval, Alberton Oval, Oakes Oval (Lismore), Morwell Recreation Reserve. Children aged 6-14 as at January 1, 2019 are eligible to purchase a junior ticket. Children aged 5 and under as at January 1, 2019 are entitled to enter the ground at no charge; however, they must not occupy a seat. Persons aged 15 and over as at January 1, 2019 are classified as an adult, unless they hold valid Concession identification. Club members are required to upgrade to a ticket that is equivalent to the type of membership that they hold (i.e. Adult members can only upgrade to an Adult ticket).